Mortimer Road, some of the best tarmac in the country? If you had to show one of your oldest cycling friends one route to show off the best of your local National Park or Area of Outstanding Natural Beauty, what would you include? It had better be good to make it worth them travelling over for, and there had better be some cake stops and a pub lunch! Hills bring stunning views and descents, and we’d want some tight twisting descents as well as epic fully tucked charges. This varied route through the North of the Peak District National Park is littered with reservoirs and takes in what could arguably be one of the best bits of tarmac in the whole country: Tarmac initially laid for the Tour De France Grand Depart (but with the entire 16km section of Mortimer road now being freshly laid and unbelievably smooth). 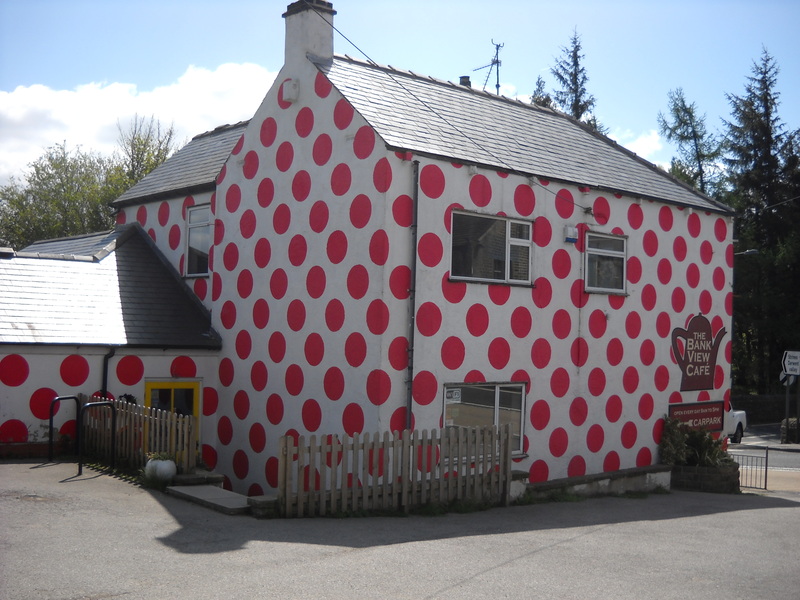 With an almost constant supply of pubs and cafes, on a sunny day this is a ride that can be savoured, just remember to bring your climbing legs. (Route contains a few short sections of busy main road – Bikes are very commonplace on these roads, but caution on busy roads is obviously advised). 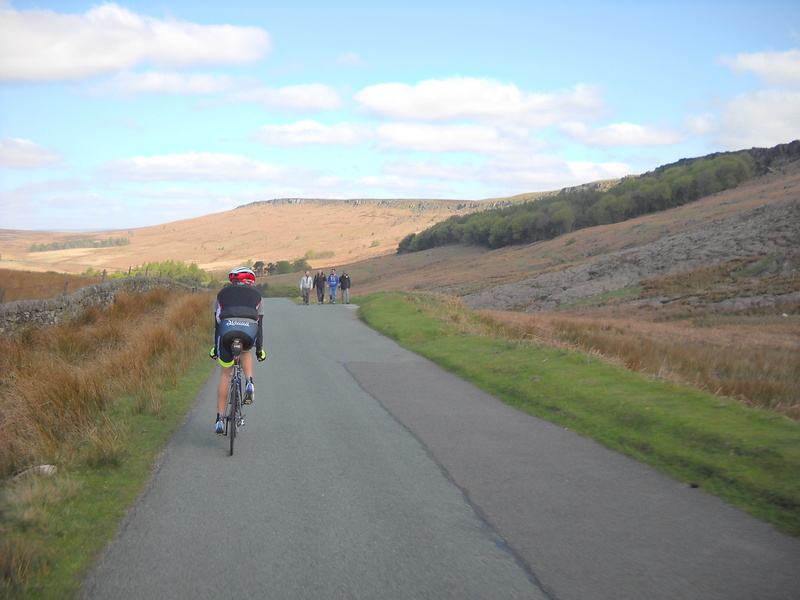 The route starts high up, just above Sheffield, with parking available at the road side near the Fox House pub, an ideal place to finish the ride and refuel with the aforementioned pub lunch. Heading towards Sheffield the route descends briefly before turning onto quieter roads, winding around to cross the top of the moors, crossing the bridge at the top of the Burbage valley and descending past the impressive Stanage Edge. This 6km long grit stone escarpment is the largest in the Peak District and is a popular destination for rock climbers and walkers. The narrow rolling roads are a delight to ride, keeping the power down on the short ups and maintaining momentum, all whilst looking out across the Hope Valley from the elevated position. A fast decent drops down to a busier road at the base of Ladybower Reservoir. From the top of the dam wall it’s possible to see the “plug holes” or overflows which can be an impressive sight when the water levels are high enough. From Ladybower the first noteworthy climb of the day begins, a short slog up to what must be one of the best bits of tarmac in the country. Mortimer Road, with half of it being resurfaced for the Tour de France a few years ago and the rest of it recently finished this road is like some kind of cycling fairy-tale land. Oh tarmac, tarmac on the road, who is the smoothest of them all? This 16km section of road has something for everyone (unless you really only enjoy long alpine climbs), steep, rolling, fast, flat, tight and twisty even steep hairpins. A relatively quiet road built for cycling, with great views and rewarding terrain. 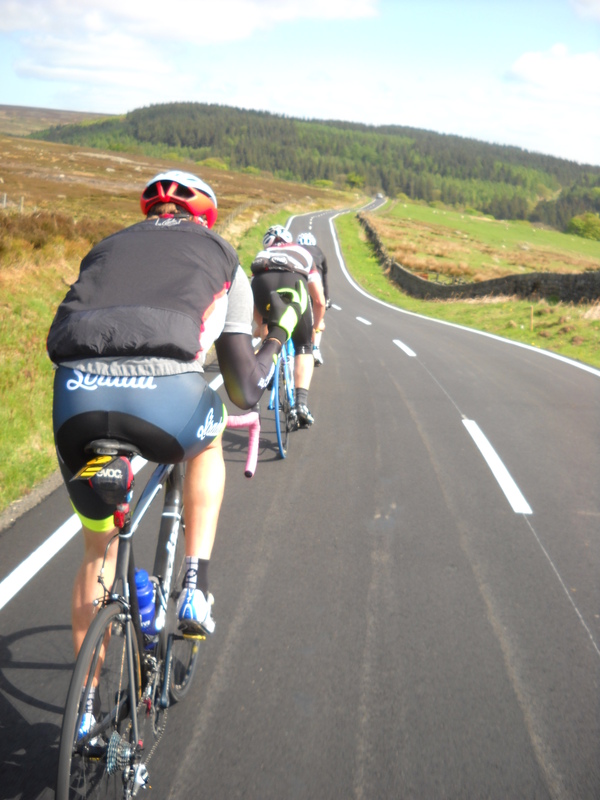 “I think that might be the best tarmac I’ve ridden since… well in my life” says my friend with a huge grin on his face. After the next roundabout the traffic quietens once more and the route works it’s way towards pretty town of Holmfirth, most famously known as the filming location of the BBC’s ‘Last of the Summer Wine.’ Quite how Howard and Marina managed to get up to anything untoward after cycling out of the town into these hills I will never know; they must have had some stamina. Holmfirth is the lowest point on the route, and the climb out over Holme Moss will be the highest point of the day, taking us back into the Peak District. As the road heads out of town speed increases, charging directly towards the climb ahead, it clearly visible with the antenna standing proud on the top. The road turns left then quickly right and all that speed is lost on the steep kick at the base, before flattening off again for the longest climb of the day. Further up, as the road snakes over the hillside graffiti still visible from Le Tour encourages riders like CAV and Va Va Froome whilst welcoming the race with its “Ay Up Le Tour”. The view from the top is pretty good, but the descent to yet another reservoir is a flat out charge, clicking up through the gears and tucking in tight to improve aerodynamics. If I wasn’t so busy hanging on for dear life, looking for pot holes and oncoming traffic, I would have seen my Garmin read 50.2mph (80km/h), it’s probably just as well I had my eyes on the road at that speed. A very short section of main road before turning left onto a quiet road leading towards Glossop. “Is there a prize for fastest descent?” I ask wishfully hoping for a cake based prize, though I was not first climbing over the summit so perhaps I should keep quiet. The Old House Tea Rooms has a good brownie, the kind you can only really finish if you’ve just climbed and descended a pretty big hill. After dropping into Glossop the most obvious route would be to climb out again over Snake Pass, ticking another great road pass, but I have not done that. 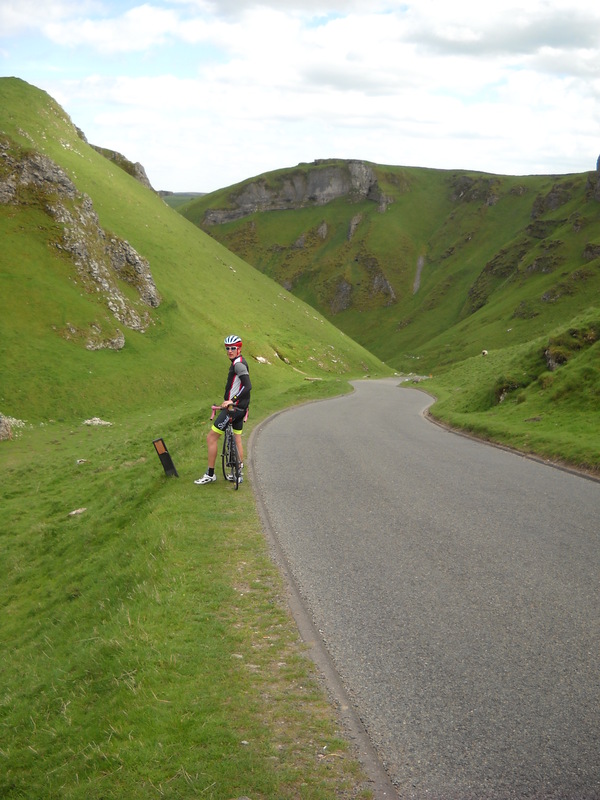 Though Snake Pass is undeniable a classic climb of this area, I chose the aesthetics of Winnats pass to descend into the Hope Valley. A wide main road takes the route towards Chapel en le Frith, turning off just before onto small single track roads. After the day’s ascents, the steep gradients on these single track roads are a shock to my tired legs. What little strength they have left is beginning to drain away. As the small roads make contact once more with the gentler ascent of the main road, it’s back into the saddle and grinding towards to top. “Do you need another cafe stop?” The No Car Cafe is signposted just off this road, offering refreshments to cyclists, walkers and anyone else who does not require a parking space. As the road turns sharply right and then left (the original main road was destroyed in a land slide – so do not go straight on) we come across the view down Winnats Pass. This narrow winding road, surrounded by towering limestone pinnacles offers the grandest scenery to cycle through. Perhaps getting more impressive as you descend through it and the steep sides envelop you. Sure you’d spend more time in it cycling up, but you’d be probably be staring at your stem in agony and might even forget to look behind you at the view from the top. From Castleton in the base of the valley it’s the first time the road is actually flat. A long fast drag across the valley floor feels like something is missing, where have all the hills gone? 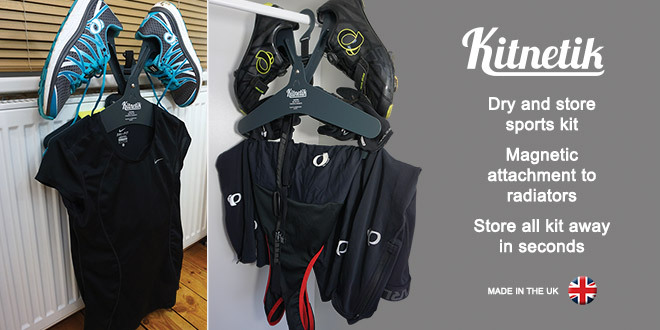 This flat run gives you enough time to really loosen up before the final climb out to dry clothes and the promised pub lunch. From Hathersage, the final climb starts, overlooked by the quarried grit stone of Millstone edge jutting out above the trees. It’s not that steep but is quite long for tired legs. Staying seated and accelerating where the gradient allows ensures that well deserved lunch is getting closer. Be sure to look back as you near the summit as the view across the valley below is well worth the effort. A flat dash and short winding hill deposits you neatly back at the Fox House pub. I hope you enjoyed the ride. The route has been kept at a reasonable 110km (69 miles) (with 2500m of ascent), thus allowing riders from neighbouring areas/cities to link onto it without heading into serious distances, as well as being long enough to be worth the drive from further afield. There are pubs and cafes throughout, so do no feel bound to any of my suggestions. This route is intended as a great introduction to the North of the Peak District, though some may notice that it does leave the national park briefly I assure you it’s for good reason. Hills are the main feature and varied road types help to keep average speeds high between the more enjoyable features of the ride. That is one awesome looking cafe!! Downloaded, thank you. I once spent three hard days slogging my way up and down those lands, beautiful even in the rain. Winnats is brilliant. The day I climbed a storm broke half way through, gusts of winds trying to blow me back down the crevasse. I could climb that road forever.